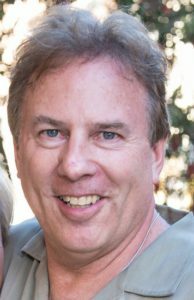 Jimmy Schaeffler is and has been, for the past 24 years, the chairman and chief service officer for the globally-recognized pay-TV focused telecom research and analysis firm, based in Carmel-By-The-Sea, California, known as The Carmel Group. Since Q3 2018, he has also served as an independent contractor on behalf of Wilmington, NC-based Live Oak Bank, and one of two industry experts for the broadband vertical specializes in, among 23 others. The Carmel Group lists among its existing and former constituents AT&T, Verizon, Comcast, Charter, Centurylink, DISH, Rise, Fox, ABC, NBC, CBS, Netflix, Apple, Amazon, Hulu, NAB, NCTA, and dozens of other entities in and around the pay-TV industry, be it satellite, cable, fixed wireless, fiber or cellular/mobile. Mr. Schaeffler’s earlier ventures include stints with ABC Sports as a production assistant, producer, and staff contracts attorney, in New York City and globally; as an executive for International Management Group; as assistant general counsel for the United State Olympic Committee; as a vice president and general counsel for Aspen-CO-based Adventure World Productions; and as a direct broadcast satellite, sports, and pay-TV industry specialist for Paul Kagan Associates. He considers among his greatest accomplishments the creation and growth of the Willy Schaeffler Scholarship Fund at the University of Denver, honoring his late father, who passed away in 1989. The WSSF is a foreign exchange scholarship for disabled scholar athletes, with a preference for competitive skiers.